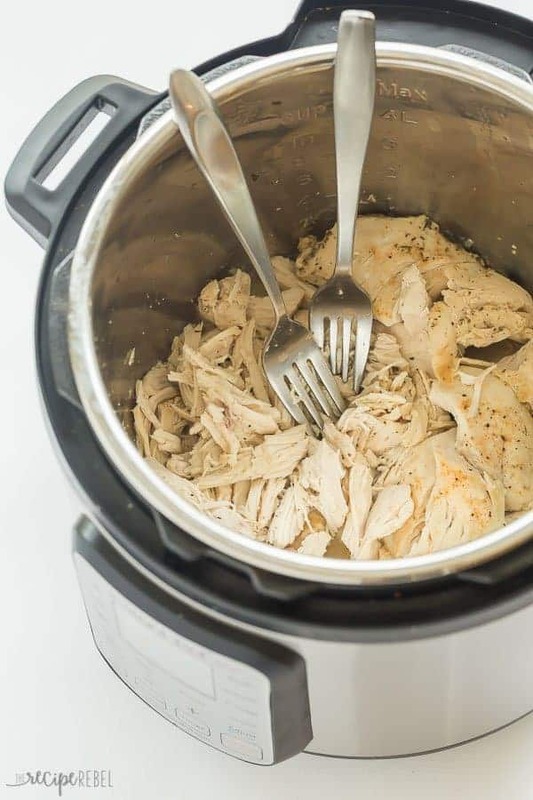 This Instant Pot Shredded Chicken is perfectly moist, perfectly seasoned, and it freezes perfectly for your weekly meal prep! The easy way to cook Instant Pot chicken breast for shredding, from fresh or frozen! It’s a healthy addition to soups, salads, pastas or sandwiches throughout the week. I know. Instant Pot Shredded Chicken? We hardly need a recipe for that! It’s not even really a recipe. 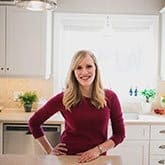 But since this here is not just a food blog full of delicious things for you — it’s also a collection of some of my favorite things — I get to say what goes here. And today? I’m all about non-recipe recipes. I mean, it’s kind of a recipe. The seasoning on this Instant Pot Shredded Chicken is mild but so, so flavorful. It’s not too spicy or too salty or too peppery or too herby. It’s just right. 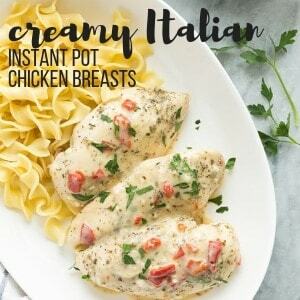 And we all know that Instant Pot chicken breasts are one of my favorite things this year (check out these Creamy Italian Instant Pot Chicken Breasts, Instant Pot Pineapple Chicken Breasts, How to Cook Frozen Chicken Breasts in the Instant Pot if you were unsure! ), so I’m keeping it. I came up with this recipe when I was testing a few grilled chicken recipes, and I ended up taking out 4 extra chicken breasts that I no longer needed to grill. We are preparing to leave on holidays, and so I didn’t really want any extra food hanging around in the fridge that might spoil while we’re away. 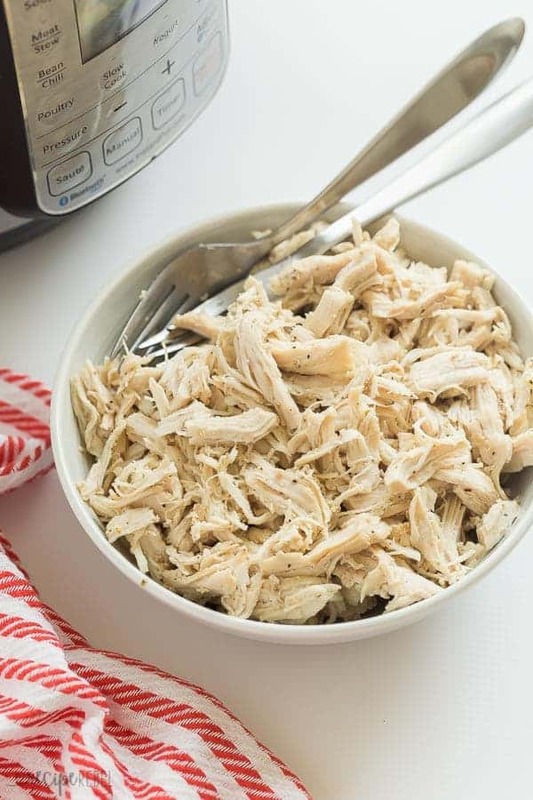 I decided to dream up the ultimate Instant Pot Shredded Chicken and stash it in the freezer for our return — best idea ever! We now don’t have to worry about what we are going to eat the day after we get home when we’re still feeling like two zombies who “vacationed” with 3 kids 6 and under. I can guarantee you we will not regret it! I know that this is such an easy recipe that most of you probably don’t need tips on how to make shredded chicken, but there are a few things that I think are key so I’m going to drop some hints anyway! Make sure you add enough liquid. The liquid is what makes for a tender, flavorful shredded or “pulled” chicken. Broth adds so much more flavor than water, and more liquid = more moisture in your chicken! Season well. You don’t want to go overboard, but keep in mind that meat is best seasoned during the cooking process and not after (as is pasta, grains, vegetables, the list goes on). You will drain most of the liquid afterward, so you will not be consuming the full amount of salt, etc. as is listed in the recipe. Breasts or thighs? You can use either boneless chicken breasts or chicken thighs, or throw some of each in all together! Thighs have a richer flavor, and breasts are leaner. You choose. There are a couple ways to shred the chicken once it is cooked. Chicken breasts coming out of your pressure cooker are pretty much falling apart without you having to do anything, so you don’t need to get fancy. I prefer to use two forks, because I’m lazy and I’m not into extra dishes. They do a fine job! A lot of people will use a hand mixer or stand mixer to shred chicken, but I think it’s overkill. Who wants a huge stand mixer bowl to wash just for a few chicken breasts? Maybe if you’re doing a few pounds at once, it would be worth it. Be sure to shred the chicken breast in the liquid (or at least some of it!) as it the chicken will reabsorb some of the broth and seasoning as you are pulling it, and it will give you the best results by far! Staring with frozen chicken breasts? I recommend adding 3-4 minutes to the cook time. 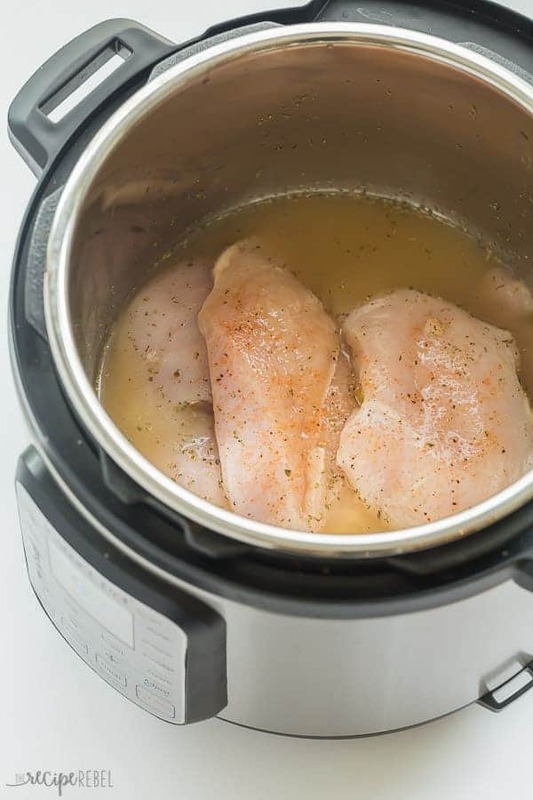 See my post here on cooking frozen chicken breasts in the Instant Pot. Don’t have an Instant Pot or Pressure Cooker? Check out my Crockpot Shredded Chicken! Place broth, seasoning salt, Italian seasoning and pepper into the Instant Pot inner pot. Stir. Add the chicken breasts (no trivet necessary!) and put the lid on. Turn valve to sealing, and select Manual (or Pressure Cook), high pressure for 10 minutes (they will be cooked at 7-8 minutes, but a couple extra minutes makes them fall apart tender). It will take about 10 minutes to come to pressure and start counting down. Once the cook time is over, turn the Instant Pot off and let the pressure release naturally for 10 minutes (i.e., don't touch it!). Open the lid and drain about half of the liquid. Shred the chicken breasts with the remaining liquid in the pot, and serve as desired. To freeze, let cool to room temperature before placing in freezer bags. *This recipe was tested in a 6 quart Instant Pot. Different models may have different suggestions for minimum liquid requirements. Such a versatile food! Love to make enchiladas with it. This chicken is perfect for meal prep plans! 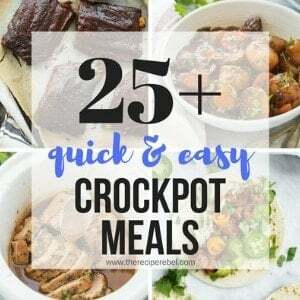 Been looking for new Instant Pot recipes – this is a keeper! LOVE making chicken in my instant pot. Turns out perfect every time with this recipe! This is such a timesaver! I love making up a batch and freezing the shredded chicken for quick meals. I’ve substituted cumin and chili powder for the Italian seasoning, and that’s yummy for Mexican dishes. Yes! We love it for busy weeks! Thanks Antonia! I’m so happy you liked it! Do you have the “Keep Warm” function on when you are doing the natural pressure release or do you have it completely off? Do you add extra time for frozen chicken? Hi! I don’t know if I’m blind, but I can’t see the frozen chicken tips? I’m so sorry — I have added it back in! Chelsea, you may be using larger chicken breasts than Ashley and your cook time may need to be increased by a few minutes! I know if I buy chicken breasts from a store like Sprouts, they’re nearly twice the size as my costco organic ones 🙂 Usually, tough chicken breasts are just in that funky space before they reach the shreddable stage. Was your chicken a bit challenging to shred? If yes, it definitely needs some more time. You can return to the pressure cooker or cook on the stove (low and covered) at that point to monitor more closely. I hope this helps! Thanks for your tips Kristine! I’m very confused by your instructions. It may be because I am new to instapot but the summary says 13 minutes total but your instructions read more like 30 minutes? Can you explain more clearly? When you say to turn it off when it’s done- do you mean press cancel and then just set a kitchen timer to ten minutes? Or is it ok to let it be on the “keep warm” setting and let the pressure cooker count up to 10? Also, if after ten minutes of natural release the valve hasn’t gone down can I quick release it or should I just wait “at least” ten minutes. Hi Chelsea! I turn it right off because I feel like the pressure will release more quickly if it’s not on keep warm. In my experience, ten minutes has been lots and the needle is usually down by then but if you did a larger batch it can take longer! If you want to be on the safe side, you could let it go 5 more minutes and see if it drops. I have a six quart instant pot. I did two large chicken breasts. I let it go 10 minutes natural release on warm- then turned it off and it took two minutes to drop down on its own. Unfortunately I have to say that even after shredding and letting sit in the juices it was so tough tough tough that I had to toss it out. Did you mean ten minutes to cook? The top of the website says “8 min to cook” but then your actual instructions say 10. I’ll try one more time, but I’m starting to lose hope that the instant pot can do chicken breasts. Also feeling very guilty about the amount of chicken I’ve thrown out in January! Thanks for posting. Roughly how many pounds was your 4 chicken breasts? I am looking at the 4 chicken breasts I got and they are 3 lbs. Is your 4 chicken breasts 3 pounds? 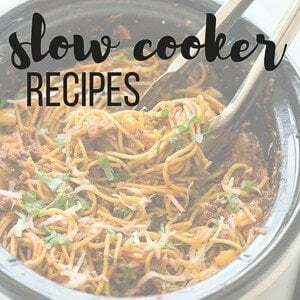 I just purchased a Instant Pot and used this recipe for my first venture. Absolutely fantastic! When I drained half the liquid, it turned out to be amazing chicken broth, bonus! Thanks so much for the step by step instruction and the wonderful recipe! I use this recipe often! I throw frozen stir fry veggies on top and cook for same amount of time…great for fajitas! That is a great idea! Thanks Bryce! It is cool to make this recipe. Thanks for your suggestion. I am going to try this at this weekend for my friends to try. And will be back with reviews and ideas. I want to make a lot. If I double or triple the recipe do I need to add liquid or add time? Hi, just wondering what the serving size is for 69 calories? I know there are 8 servings but is it 8 cups or 1/2 a cup per serving? Thank you. No, the cook time should remain the same but with the 8 quart you may want to add more water. Sorry, by water I meant liquid. You may have to add more broth if using a larger Instant Pot. How much cooking time if I cook from frozen rather than thawed? I usually do 10 minutes for frozen chicken, but up to 12 would be fine, depending how tender you like it. What’s the cooking time for frozen chicken breasts? What should I use to cook the breasts if I don’t have an Instant Pot? You could use a skillet or slow cooker, you’ll just have to adjust the cook time accordingly. Does the cook time change if I only want to cook one or two chicken breasts? It doesn’t change, no. I hope you enjoy it! Hi how much water time if your making from frozen? You will use the same amount of water if you’re cooking from frozen. What size Instant Pot was this recipe made with? I find that is important with my 8 qt because if I don’t add enough liquid things tend to burn. Please include this in your recipes. Thank you for sharing! I’m excited for this. That’s a good point! I use a 6 quart Instant Pot, so the required amount of liquid may be different for an 8 quart. For a 6 quart it is minimum 1 cup. This sounds amazing and I will be making it tomorrow, can’t wait to taste it! I just got an instant pot and can’t wait to try this! I’ve made this recipe several times and it’s so delicious and so simple. I add a small can of pineapple juice to the complete recipe and it’s amazing. Toasted buns and some bbq sauce and everyone is very happy. Thank you for your recipes and your time. Love the idea of adding pineapple juice! I love a good, sweet bbq chicken! Really liked this idea. I have plenty of chicken here, definitely gonna give it a try! Seriously perfect timing! I was planning on cooking a pot of chicken tonight! Smells like a yummy one. Thanks Tenna! Let me know how it goes! I need serious help with shredded chicken. I’ve tried several times and every time my chicken is tough and chewy. I have an 8 qt insta pot, I used 1 cup broth, seasonings, two large boneless chicken breast not frozen. I used manual high pressure for 12 minutes with instant release. Terrible! I then tried again. This time I used the same ingredients and pressure but only used 6 minutes. The chicken wasn’t quite cooked so I added another 4 minutes and still tough. I kept adding 4 minute increments and still had tough chicken at a total of 30 minutes. I want to give up! Do you have any suggestions? The pot seems to be working fine and the ring is fine. This recipe and many others for cooking meat in the instant pot suggest a natural pressure release (in other words, don’t turn the knob and make the steam come out; just wait for the pressure to release on its own.) This takes 10-15 minutes most of the time and for some science-y reason affects the tenderness of your final product. It sounds like you’ve been manually releasing the pressure, which by many accounts makes the meat tough. Operator Error!! I just tried this chicken recipe and it is cooked but it’s tough. Ugh. I flipped the dial to release the steam. Sounds like that was a mistake. Can I cook more to tenderize it? Unfortunately I don’t think cooking more would make it more tender. I would chop it up and serve it with some sauce or throw it in soup — the broth from soup would help to moisten it and make it better!